Employee misclassification is a major violation of California labor law that happens far to often. The issue is whether a worker is an actual employee or an independent contractor. An employee works for an employer and is under the direct supervision of the employer, manager, or supervisor. Employees are told how to do the job, and most if not all aspects of the job performance are governed by the employer. The employee also is entitled to benefits including health care and, if they work more than 40 hours in a pay week, are entitled to overtime assuming they are paid by the hour as opposed to being on salary. An independent contractor is not an employee. While we often of think someone in the building trades when we think of a contractor, there are many types of contractors in many different fields ranging from bookkeepers to civilians assisting the military. In most cases, contractor will hire people to work on the jobs for which they have been contracted to perform and these workers will be employees withing the meaning of California law law. The employer will collect and withhold taxes so they can be paid to the IRS and Commonwealth, and has the power to fire the employee. If an employee is fired, they are out of work until they find another job. If a contract if rescinded, there may be legal issues, but the contractor is not unemployed. They are simply out of the current job, but likely have many other projects in the works. Working with Los Angeles employment classification attorneys know that workers are wrongly classified constantly by employers trying to skirt their legal obligations to employees. You should know, however, that the employer’s determination is not the last word on the issue. The courts have final authority for this, which is why you should consult with an attorney if you think you are being wrongly denied important benefits or employment perks. According to a recent news article form the Daily Breeze, the city of Los Angeles is looking to block companies from doing business at the city port if they hire workers as independent contractors instead of employees. The goal is to make sure employees are provided a safe environment and fully compensated for all work they are required to do. This is following more than 15 years of truck drivers and other employees arguing about improper treatment by the company that runs city docks. This has resulted in strikes and work slowdowns in the area and others as a showing of union solidarity, but the issue still continues to this day. The city has now decided to get involved and do what they can to make sure the employees are properly treated and properly compensated for the work they are being required to do. This is not the first time the city has tried to help these workers. 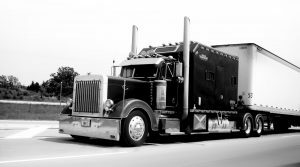 In 2008, as part an initiative called the Clean Truck Program, the city tried to mandate that workers be employees and not contractors, but this law was later struck down by the Ninth Circuit Court of Appeals.